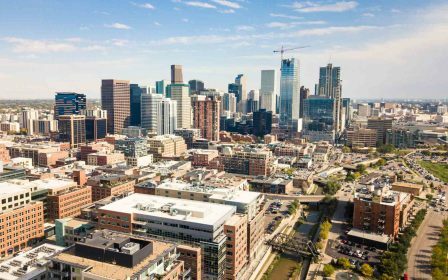 The Downtown Denver Partnership Management Group (DDPMG), made up of representatives from Denver Civic Ventures, Inc. (DCV) and Downtown Denver, Inc. (DDI), ensures consistency and clarity of policy and public positions. It ensures that DDP speaks with one voice. It is also responsible for the fiscal policy and financial reporting for the four organizations. The DDPMG creates and disbands councils and committees as necessary. The councils and committees report to DDPMG and are comprised of members (some of whom are board members from both DDI and DCV). Attendance for these meetings are for Management Group Board members and invited guests only. Chaired by Bill Mosher, Senior Managing Director at Trammell Crow Company, the Downtown Denver Partnership Management Group is the organization's executive committee and ensures consistency and clarity of policy and public positions. They are also responsible for fiscal policy and financial reporting.